The Electronics and Communication Engineering department aims to develop professionals with quality technical knowledge and related sub-skills to cope with the needs and challenges of the dynamic field electronics. The Electronics and Communication Engineering department started in the year 2002 with the intake of 60 students and increased to 120 students in the year of 2008. The department has the strength of 21 well qualified, dedicated and experienced faculties who have been the driving force behind the rapid success of the department. The faculties of the department actively engage in research work in various domains of electronics and Communication discipline. To create competent professionals with high quality technical knowledge and excellent professional skills needed to address the real time challenges in the rapidly growing field of Electronics and Communication Engineering and to produce the creative solutions for the Societal needs. To kindle the zeal among the students and promote their quest for pursuing and learning advanced topics like Wireless Communication, Image Processing, VLSI and Embedded Systems. To produce morally, ethically and professionally competent engineers. To develop team spirit, leadership quality and communication skills. To produce leaders and global citizens who will challenge the present and change the future. P1: To prepare students to excel with good theoretical and sound practical knowledge in mathematics, science, computing and electronics and communication subjects through rigorous education. P2:To analyze design and solve Electronics and Communication Engineering problems in a team with environmental safety within the constraints of social, economic and ethical needs. P3:To adapt to the rapidly advancing technologies and concepts by pursuing higher studies, research in Electronics and Communication fields or to get employed in national or international organizations and with government agencies. P4:To inculcate students leadership qualities and be sensitive to ethical, global, national, societal and environmental issues while performing their professional duties in multinational companies. a. Students will be capable of applying the knowledge of Mathematics, Science, And Engineering in the field of Electronics and Communication engineering. b. Students will have the ability to design and conduct experiments, analyze and interpret data in Electronics and Communication engineering. c.Students will have the ability to design Electronics and Communication system components or processes to meet desired needs within realistic constraints such as health and safety, economic, environmental and societal considerations. d.Students will be able to work individually as well as in multidisciplinary teams, as a member or as a leader, to accomplish the common goal. e.Students will be able to identify, analyze, formulate and solve engineering problems. f. Students will acquire the knowledge of ethical standards and practice professional ethics. g. Students will be able to communicate effectively in any area of their approach to the industry, to the fellow beings, to the society. h. Students will acquire the broad education necessary to understand the impact of engineering solutions on individuals, organizations and society. i. Students will update their knowledge on lifelong basis to keep up with the dynamic nature of engineering field. j. Students will be aware of the contemporary issues, which help them to integrate advanced and sustainable solutions in the user environment. Digital laboratory is mainly developed to gather practical knowledge regarding different Digital equipments, Technologies and Applications oriented involvements in that. The major experiments include combinational circuits, code converters, 4-bit binary adder / subtractor, parity generator / checker, magnitude comparator, multiplexers/ demultiplexers, flip-flops, shift registers in SISO, SIPO, PISO, PIPO modes synchronous counters/ asynchronous counters and simulation of Hardware Description Language (HDL). These experiments were included with the moto of enhancing the knowledge regarding digital techniques which help the student’s development. Microprocessor laboratory is equipped with microprocessor, microcontroller kits and interfacing devices. The students write code in Assembly Language and Interfacing with various devices to develop a strong understanding of microprocessor and microcontroller fundamental operations. Spartan-3 field programmable gate array (FPGA) boards. My CAD pro 2010 for transistor level SPICE modeling. The electronic system design lab is fully equipped with new IBM personal computer systems for software based programs. Electronic equipments like CRO, AFO, dual power supply and digital multimeters are also available for doing experiments. The digital signal processing laboratory is fully equipped with new Lenovo personal computer systems, simulation software like Matlab 7.0 with various number of tool boxes for doing experiments, mini projects and final year projects in various fields. DSP processor kit like TMS320C53X is also available for doing experiments and final year projects. 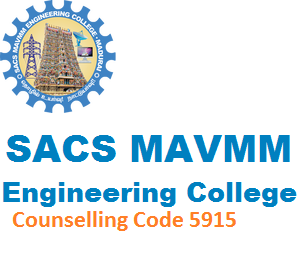 This laboratory is highly sophisticated with basic and latest equipments for doing all experiments which covers the syllabus of Anna University. The laboratory is fully equipped with major equipments like spectrum analyzer, phase locked loop, frequency synthesizer kit, pulse code modulation kit, cathode ray oscilloscope, function generator and digital communication trainer kit. Network laboratory is well equipped with 8 numbers of LAN-T trainer kits and 15 numbers of personal computers. The experiments such as CSMA/CA, CSMA/CD, Routing protocols, file transfer protocol, socket FTP etc can be done in this lab. . Linear Integrated Circuits lab is very important for designing the characteristics of OP-AMP, 555 Timer IC and to simulate the applications of OP-AMP. Students of various branches design and test their circuits as part of their curriculum. Guidance is provided to the students by a team of expert faculty and lab technician. Students do various experiments on microwave devices such as Reflex klystron and Gunn diode and they also get familiarized with passive components such as directional coupler, isolator and circulator. The lab is equipped with sophisticated fiber optic experimental setup.